I finally downloaded the pictures from the digi camera and will put them in a photo album for the Jeep. 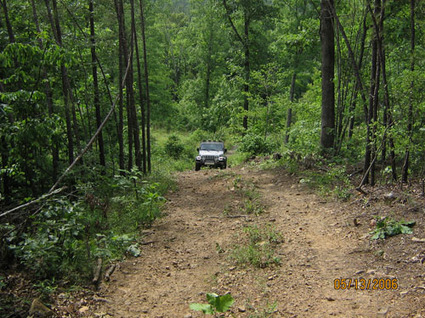 This picture is of my jeep crawling up a rock and tough terrain hill. It was tougher then it looks - really!